No season of Survivor would be complete if we didn’t compile the all-time list of winners each season. 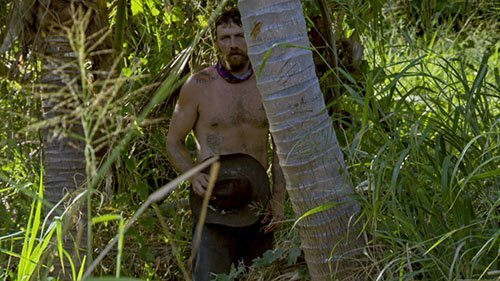 With 35 seasons now in the rear-view, we just witnessed Ben Driebergen becoming the latest person to win Survivor…but where does this heroic Marine sit on the all-time list? Each season of Survivor is unique, featuring its own set of rules, and players. Sometimes, comparing who is “best” comes down purely to one’s own personal opinion. 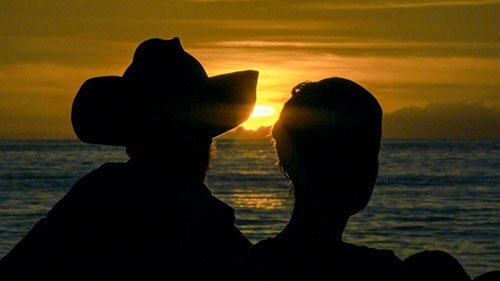 Season 35 of Survivor, Survivor: Heroes vs. Healers vs. Hustlers, is a thing of the past, having ended this past Wednesday night. So where does this past season fit in to my list of most memorable? When ranking the most memorable seasons of Survivor, “best” can mean a lot of things, so my list takes into consideration not only the “best” season but the most “memorable” seasons of all time, as they may eventually be remembered from our current vantage point. Obviously the most recent season is freshest in our minds, so the list also takes that into account. Determining factors include memorable players, situations, Tribal Councils, the impact the season had – or will have – on future seasons, and just overall where I feel the season ranks. Everyone has their opinion, so be sure to voice whether you agree or disagree with my rankings. Here goes! Exclusive Survivor: HHH Finale Interviews with the Winner and Final Five – Spoilers! Survivor debuted over 17 years ago (!!!) and has just put the wraps on its 35th season. The Finale Episode of Survivor: HHH was one for the ages, but wasn’t without controversy. Heading into the episode we had Chrissy, Ryan, Devon, Ben and Dr. Mike all in the running to be this season’s Sole Survivor…so who ended up winning the million and the title? Caution, as spoilers from this week’s episode are to follow! Turn back now! If you want to get caught up, be sure to check out the Finale Episode Recap here. CLICK THE CONTINUE READING BUTTON FOR MORE, AND THIS IS YOUR LAST *SPOILER* WARNING! Exclusive Interview With The Survivor: HHH Contestant Voted Out of Episode 13 – Spoilers! The penultimate episode of Survivor: HHH started off with six contestants still alive and vying for the million dollar prize. For one player, the odds were stacked against them, but as any fan will tell you: Anything is possible when it comes to the game of Survivor. Caution, as spoilers from this week’s episode are to follow! Turn back now! If you want to get caught up, be sure to check out the Episode 13 Recap here. Exclusive Interviews With The Survivor: HHH Contestants Voted Out of Episodes 10 and 11 – Spoilers! It was double the fun this week on Survivor, where we got to see not one but two Tribal Councils over the course of the two-hour episode. There was some great drama, some “epic” blindsides and now we are just left with seven players left this season, with just two more episodes leading up to the two-hour Finale Episode on December 20th. Caution, as spoilers from this week’s episodes are to follow! Turn back now! If you want to get caught up, be sure to check out the Episode 10 and 11 Recap here. Woohoo! I hope you fastened your seat belts, because the fun part of the roller coaster ride that has been Survivor: HHH apparently has started. 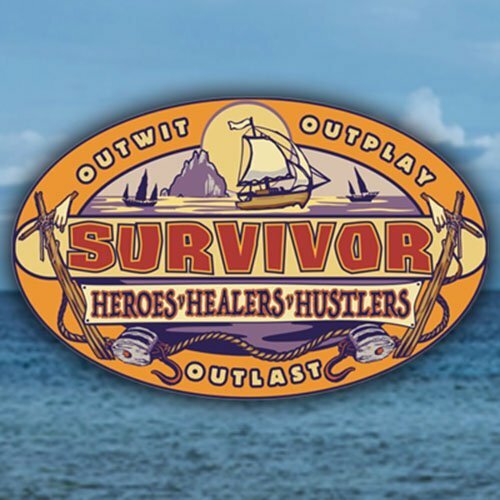 There have been ups and downs, for sure, and as recently as last week I had finally came to terms with myself and declared this season a bust…well, a bust by Survivor standards, in which the worst season of Survivor is still better than any other reality competition show out there. I had written that the potential for a great season had been there, but at almost every turn, the game has swerved away from its best path forward. But tonight’s double episode though! Just when I thought the ride was slowing down and easing me towards the exit, the show went and threw me for a loop de loop. Let’s get into it, shall we? Please remember that this recap assumes that you have already seen this week’s double Episodes 10 and 11 of Survivor: HHH, so if you have not and don’t want to be spoiled, please come back later! It’s important to add too that while we WILL hit on all of the important developments of the episode, this is not a linear “blow-by-blow” recap, and is more of a discussion and reaction of what we just witnessed together. It’s been nearly a week, so we’re going a little lax with the usual “spoiler-free” approach to this particular interview. Cole Medders, the hunky Healer who got into a show-mance with Jessica and was a challenge beast throughout, ended up going home after a head-scratching Tribal Council that aired on Thanksgiving Eve. 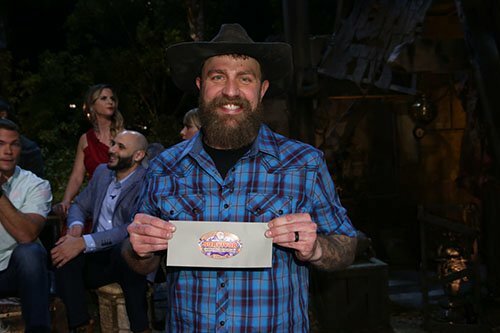 Cole became the second member of the Survivor: HHH jury, and will now cast a vote to help determine who will become this season’s Sole Survivor. If you missed it or wanted to get caught up on last week’s big episode, please do so here, with our Episode 9 Recap. Wow, lots to digest this week! 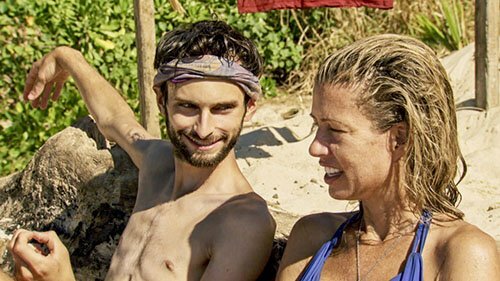 I have been continuing to tell people to stick with this season, and I have to say that this week’s installment of Survivor was an all-around solid episode? Am I right? 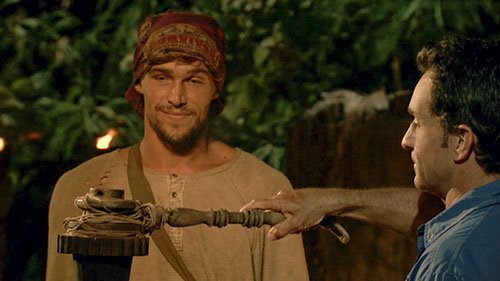 It had an interesting Reward that led to some pandemonium back at camp, there was a lot of strategizing going on, a secret advantage was found and played, a player that HAD to win the Immunity Challenge to survive did just that and a Tribal Council ended with a re-vote and then a surprising vote. What more can you ask for as a Survivor fan? We’ll dig right into tonight’s episode (in a nice and calm way, not in a Chrissy/Cole sort of way…). But first, please remember that this recap assumes that you have already seen this week’s Episode 8 of Survivor: HHH, so if you have not and don’t want to be spoiled, please come back later! It’s important to add too that while we WILL hit on all of the important developments of the episode, this is not a linear “blow-by-blow” recap, and is more of a discussion and reaction of what we just witnessed together.